Chapter six of Crucible of Pueblos brings us to the area immediately to the south and west of the areas previously considered. The region, which the authors call the Little Colorado after its main river, consists mostly of the drainage basin of that river but with some modifications. The southwestern part of the drainage around the modern town of Flagstaff, Arizona is excluded, as its culture history is quite different. Included despite being outside the Little Colorado drainage are the Chinle Wash area in northeastern Arizona and the Acoma area just across the Continental Divide in New Mexico. As the authors note early on, this region is geographically larger than all the previous regions in the book put together, but it makes sense to include it as a single chapter for several reasons. In addition to making it easier to track movement and changes across broad spatial scales, an important goal of this volume, considering this area as a whole helps to avoid some of the problems with considering its subregions separately, as is typically done. The Little Colorado straddles what have been considered the boundaries between traditional archaeological culture areas, and as a result its subregions have often been treated as peripheral to better-known areas rather than central in their own right. Particularly for understanding the Early Pueblo period (here defined as AD 600 to 925), however, it is useful to look at the Little Colorado region as a unit centered on the Rio Puerco of the West, which appears to have been the center of regional population for the period. Surface architecture was generally less substantial and pit structures were shallower than in other areas, so they are harder to identify in surveys. Many parts of this region are very sandy and windy, so sites are often covered by large amounts of windblown sand to the extent that they can’t even be seen on the surface at all. While there has been a fair amount of excavation in connection with individual salvage projects for infrastructure like highways, much of this work has been in areas without significant Early Pueblo occupation, and there have not been any major projects on the scale of the Dolores or Chaco Projects combining extensive excavation with a focus on cultural synthesis. The regional ceramic sequence for the early periods is poorly defined and dated, making it hard to interpret the artifact collections that do exist from survey and excavation projects. The authors suggest some ways to address these issues, and express a desire that this chapter serve as a starting point for synthesizing what is currently known about the Early Pueblo period in the Little Colorado region. The overall picture they paint is of regional stability and gradual change over the centuries, which they note is quite different from the more dynamic picture emerging from work further north. This certainly is a plausible interpretation of the available evidence, but it’s worth noting (and they actually do) that a similar gradualist interpretation was also applied to the northern regions before the major excavation projects starting in the 1970s refined the picture. Could it be that the apparent gradual change in the Little Colorado is also due to the low resolution of the current data? The authors don’t discuss this possibility, but it jumps out at me. Nevertheless, there are some differences between the Little Colorado and other regions that may well mean that developments here really were more gradual and stable. For one thing, there is strong evidence for the very early presence of maize agriculture (as early as 2000 BC) in several parts of the region, and evidence for irrigation canals in the Zuni area as early as 1000 BC. This earlier appearance of agriculture compared to areas further north isn’t necessarily surprising given its even earlier presence in the southern Southwest and Mesoamerica, but it does provide a potential reason that the arid but fertile river valleys of the Little Colorado drainage would have had more stability than the more marginal areas to the north and east. With this regional background in mind, the authors give brief summaries of each of their subregions then address some of the key topics that are emphasized throughout the book. I will briefly summarize their summaries below. As I mentioned before, the valley of the Rio Puerco of the West seems to be a key subregion during this period. Early Pueblo sites are rare in the upper valley, but are very common from the Manuelito area to Petrified Forest (where the Puerco flows into the Little Colorado). Basketmaker II and early Basketmaker III settlement (before AD 600) is concentrated around Petrified Forest at the western end of the valley, where there are large pithouse sites that seem to mainly consist of repeated seasonal occupation. Population increased dramatically in this area in early Pueblo I and continued growing more slowly through Pueblo II, with occupation largely by scattered individual households and small hamlets. Throughout the valley mobility seems to have been frequent and perhaps seasonal, with a wide variety of site sizes and types that makes the settlement pattern hard to determine. There are a few larger sites that may have been comparable to the early villages further north, but even these are diverse in size and structure and it’s not clear how many of them were actually permanent aggregated communities as opposed to sites occupied seasonally over the course of many years. Some of those sites that have been dated show continuity between Pueblo I and Pueblo II, in striking contrast to the depopulation of the Mesa Verde region at the end of Pueblo I. This suggests that the Little Colorado really did have a different history and that the appearance of continuity is not just due to limited data. The authors include the Zuni and Acoma areas as a single subregion, divided into three “districts”: Lower Zuni, Upper Zuni, and Acoma. The Lower Zuni and Upper Zuni are those parts of the Zuni River valley downstream and upstream of the modern Pueblo of Zuni respectively. There has been a lot of survey in the Upper Zuni district in recent years, but much less in the Lower Zuni and Acoma districts. This is unfortunate for understanding the Early Pueblo period, when the Lower Zuni was the main area of settlement. This is probably linked to its proximity to the Puerco (of which the Zuni is a tributary), given the extensive occupation there described above. There were small populations in the Upper Zuni and Acoma districts during Pueblo I that expanded rapidly in Pueblo II. Large settlements were rare throughout the subregion during Pueblo I except in the Hardscrabble Wash and Jaralosa Draw areas of the Lower Zuni district. 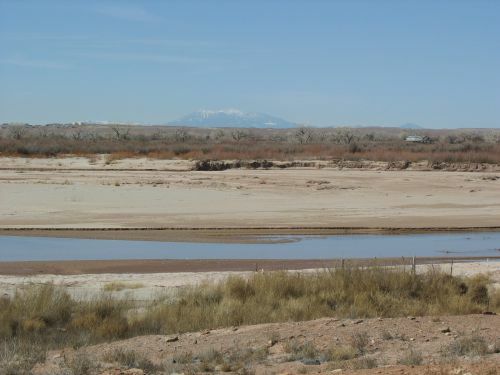 Hardscrabble Wash includes the important but poorly understood site of Kiatuthlanna, excavated by Frank H. H. Roberts in the 1920s, and there are a couple of large settlements along Jaralosa Draw showing continuity between Pueblo I and Pueblo II. Northeastern Arizona, considered as a single subregion here despite its size and diversity, had only a small and scattered occupation during Pueblo I, in contrast to marked increases in population after AD 1000 in several parts of it. 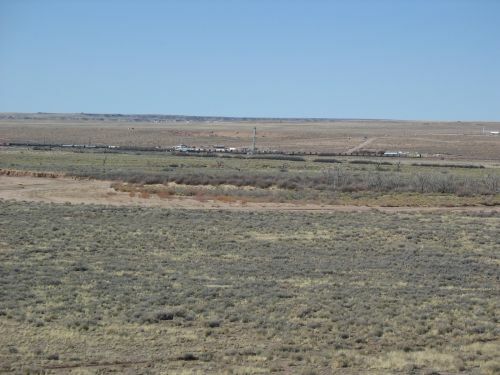 Despite its small size, the early occupation in some parts of this subregion such as Black Mesa shows evidence for substantial storage implying year-round sedentism, in contrast to the apparent mobility in the more densely populated Puerco Valley. It’s worth noting that Black Mesa is one of the areas with very early evidence for maize agriculture. Despite the low overall population, there were some large and apparently permanent sites during Pueblo I, some of which, especially on the Defiance Plateau, continued to be occupied into Pueblo II when they began to include great houses and other Chacoan features. The final subregion is the Mogollon Rim Margins at the southern edge of the region. This area forms the boundary between the Anasazi and Mogollon culture areas as traditionally defined by archaeologists. It was relatively sparsely populated during Pueblo I, but some areas saw a substantial increase in population around AD 850. There were some large sites, but as in other subregions they are hard to interpret and it’s not clear how many of them were permanent villages rather than long-term seasonal occupations. As might be expected, many sites in this subregion show mixed pottery assemblages of “Anasazi” gray wares and “Mogollon” brown wares, but what this means in terms of population movements and contacts is hard to say given the sparse data available. Turning to bigger questions, the authors make an attempt at reconstructing population dynamics but it is very tentative given the limited data. What it does seem to show is that the Puerco and Lower Zuni areas were important population centers throughout the Early Pueblo period, with the Defiance Plateau becoming an additional center late in the period. A more scattered but persistent population elsewhere in the region supplemented these centers throughout the period. Public architecture mainly involved great kivas, which existed in this region throughout the Early Pueblo period and were often associated with larger settlements with large amounts of storage capacity, implying a role as community centers for a large area. There were also a few isolated great kivas without associated settlements, which are hard to interpret. Several of the communities with early great kivas also had later Chacoan great houses, another piece of evidence for the persistence of these places as important centers. Interestingly, the general pattern in this region is of continuity between Pueblo I and Pueblo II, with an abrupt break and change in settlement patterns (though not a regional depopulation) at the end of Pueblo II associated with the decline of Chaco. This contrasts with the Mesa Verde region, where there was an abrupt break and regional depopulation at the end of Pueblo I, a repopulation late in Pueblo II associated with Chacoan influence, and continuity between the Pueblo II occupation and later Pueblo III communities before the total and permanent depopulation of the region at the end of Pueblo III. It’s not clear what this implies about the culture history of the two regions, but it certainly is interesting. There seems to be little evidence for violence in the Little Colorado region during the Early Pueblo period, again in contrast to the Mesa Verde region, although it’s worth noting that the available data is much more limited. Still, the generally small size of sites and lack of defensive settings or defensive features like stockades does suggest that, for whatever reason, things were generally more peaceful here. Cultural diversity and migration have long been topics of interest in this region due to its position across traditional boundaries, but the authors argue that some lines of evidence that have been used in the past to assess cultural differences and connections, especially ceramic styles and pit structure architecture, could use a fresh look in the light of new theoretical approaches and the much larger dataset available from salvage projects. Again, the need for a new emphasis on synthesis and a broader perspective in understanding this region becomes apparent. Overall, this was one of the most informative chapters in the book for me. This region is very important for understanding the rise of Chaco, given the apparent southern connections of some of the migrants who contributed to its rise, but it has remained much less understood than the well-studied areas to the north that contributed other migrants. This chapter shows clearly how much less is known but also how much potential there is to know more, and hopefully it will spur further investigations of these important issues.